There was a time when Hollywood executives were convinced that television would end the movie industry. They were certain no one would want to pay for entertainment when there was free TV to watch. Both the film and television worlds not only survived but also thrived. To keep up with the growing demand for new products to film, the movie executives turned to the same industry they once feared. Television programs were adapted into big screen productions. The trend continues with “Baywatch,” which opened last week. Some of the efforts worked, while others should have been canceled before being released. The following list includes 10 of the worst movies based on a TV show. 1. “CHiPs” (2017): Dax Shepard and Michael Peña should have been arrest for grand theft for their part in this robbery of the moviegoing public. The effort to make this movie a spoof of the beloved TV show that ran from 1977-1983 might have worked had they had even one funny joke. 2. “The Honeymooners” (2005): It was a monster mistake to make a film version of the 1955 series starring Jackie Gleason. As much as 75 percent of what made the original “Honeymooners” such classic entertainment was Gleason. It was his bigger-than-life personality that made the show a classic. Cedric the Entertainer has skills but not enough to be a modern Ralph Kramden. 3. “Lost in Space” (1998): The biggest problem director Stephen Hopkins faced trying to adapt this ’60s sci-fi series into a movie was that the original TV show never had a clear identity. In a span of three seasons, the TV show went from a serious space adventure to a cosmic goof. The casting of Gary Oldman as Dr. Smith (the Snidely Whiplash of space hitchhikers) was smart but that’s where the clever thinking left orbit. A convoluted script mixed with a bland Matt LeBlanc as Maj. Don West should have forced the studio to have the prints lost in the space of a landfill. 4. “The Beverly Hillbillies” (1993): Few films based on TV shows have featured so much talent and potential only to end up missing the mark so much. Director Penelope Spheeris was coming off her massive success with “Wayne’s World” and put together a cast that included Diedrich Bader, Jim Varney, Cloris Leachman, Lily Tomlin and Dabney Coleman. The one thing everyone forgot was that the TV comedy, which started in 1962, was a painfully light sitcom that relied on juvenile jokes and backwoods humor. 5. “Inspector Gadget” (1999): The only way this live-action version of the creative animated series could have been any worse is if the vanilla version of comedy, French Stewart, had played the robotic detective rather than Matthew Broderick. At least Broderick tried to bring the same kind of dry humor to the role that Don Adams had infused in the original series. Try being the operative word. 6. “Car 54, Where Are You” (1994): It was impossible to figure out the audience this movie was trying to attract. The big screen version of the TV show came along more than 30 years after the original went off the air. The goofball script didn’t come across as being aimed at an audience that would remember the TV cop comedy. And the youth target market would have only heard of the series from their parents. 7. 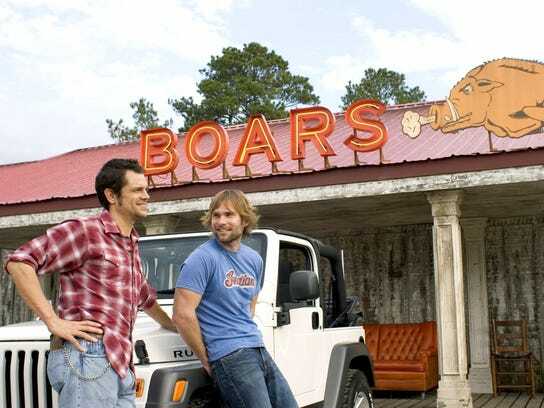 “Dukes of Hazzard” (2005): The entire movie comes across like star Johnny Knoxville is pulling a “Jackass” stunt on the audience, with a lack of funny jokes, good acting, interesting situations, humanlike dialogue, anything really hazardous and the presence of Jessica Simpson. 8. 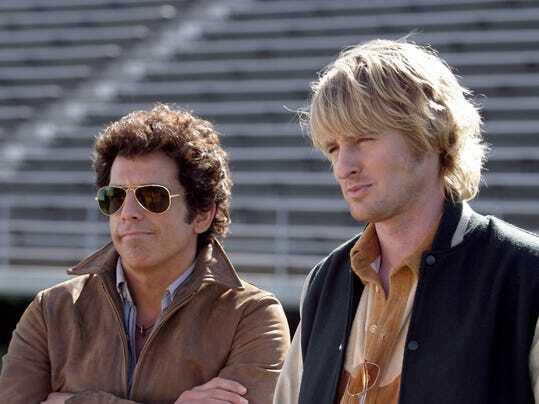 “Starsky & Hutch” (2004): Ben Stiller had to have a place on this list and it was his forgettable work with Owen Wilson that earned him the honor. Watching the two stumble along as the big screen versions of the cool TV detectives ended up being a form of police brutality. The only saving grace was – OK, there was no saving grace. 9. “The Flintstones in Viva Rock Vegas” (2000): The cast from the original films – which included John Goodman, Elizabeth Perkins, Rick Moranis and Rosie O’Donnell – was replaced by the likes of Mark Addy, Kristen Johnston, Stephen Baldwin and Jane Krakowski. It’s the best decision ever made by the original cast members to consider the franchise to be extinct. 10. “Land of the Lost” (2009): What would such a list be like without one Will Ferrell movie? He almost made the list by ruining the big screen version of “Bewitched” but it was this monumental stinker that was the worst.